Exclusive loot you can’t buy from the Fortnite shop. Fortnite players can now get their hands on exclusive loot simply by linking their Twitch Prime accounts. The gear pack includes two outfits, back bling, and a glider — and Epic just revealed a sweet pickaxe skin to go with it. Fortnite’s battle royale mode is completely free to play, which is one of the things that has helped make the game insanely popular. Epic makes its money by selling a virtual currency called V-Bucks, which you can use to buy fancy outfits, axes, and other loot inside the game (if you want to). 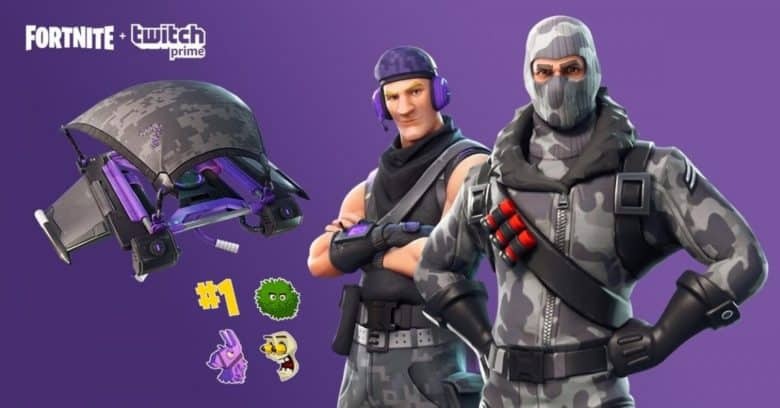 But if you subscribe to Amazon Prime, which includes Twitch Prime, you can get your hands on some swanky new skins for free. You’ll also get the Royal Sub Commander and Havoc heroes in Save the World, Fortnite’s other game mode, which isn’t available on mobile. You may have already received some of this loot if you’ve already linked your Epic and Twitch Prime accounts, but the Instigator pickaxe will be added tomorrow, March 29. In Fortnite’s next big update, Epic is adding a guided missile, which promises “remote control destruction from above.” That’s all we know about the new weapon for now, and Epic hasn’t confirmed a date for its release yet. But with Season 6 starting tomorrow, it will likely be added then. Epic’s dedication to frequently adding new weapons and content is another thing that has made Fortnite such a hit — and ensured the game always feels fresh. There’s always something new for players to try, and a new reason to keep playing. Last week, Epic added the heavy shotgun, which is much like the tactical shotgun but offers increased range. Prior to that, it added remote explosives, the hand cannon, and the hunting rifle. If you haven’t had the opportunity to play Fortnite yet, I encourage you to sign up for early access to the mobile version for iPhone and iPad. It’s the same great game — you can even play with friends on console and PC — and it’s a boatload of fun! Check out our Fortnite guide for beginners while you’re waiting for your invite to arrive. It’ll teach you everything you need to know about the weapons and equipment, landing and looting, and the best ways to fight and build to ensure success. To link your Twitch Prime account to Fortnite, simply visit the Epic Games website and follow the instructions.